Despite a comprehensive courtroom pummelling at the hands of Apple, Samsung has appealed to a US court, requesting that an existing ban on the Galaxy Tab 10.1 be lifted. 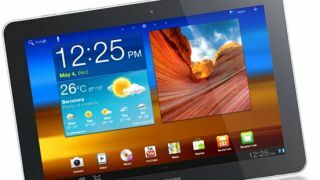 In a filing to the San Jose, California court which ruled against it on Friday, Samsung points out that the Galaxy Tab 10.1 does not infringe upon any of the six mobile patents it was found guilty of copying. To that end Samsung says the preliminary ban, initiated in June before the case began, must be overturned. It says, it is now entitled to recover damages for lost sales as the result of the 'improper' restrictions and wants Judge Lucy Koh to make a ruling without the need for a hearing. Before the rest get banned? Many of Samsung's other Galaxy phones and tablets face a sales injunction as soon as next month, as Apple looks to press home its courtroom victory over its biggest mobile rival. Samsung will be keen to get one of its marquee mobile products back on the shelves before others are potentially removed.